Following up on yesterday’s teaser, Square Enix has announced a Mana collection for the Switch. 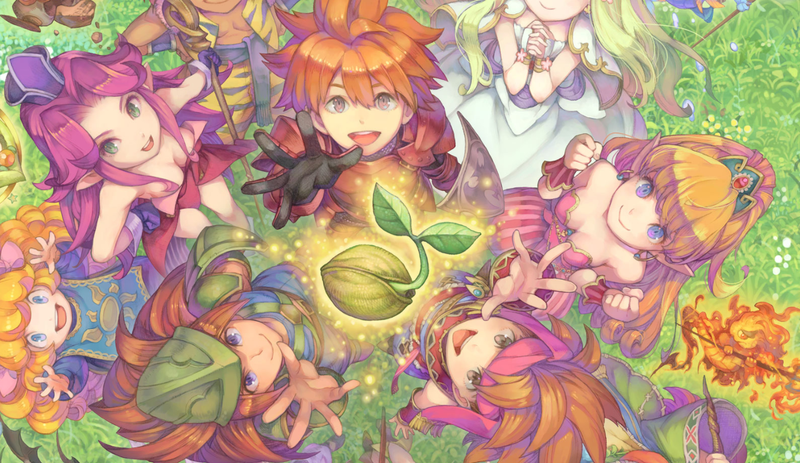 Slated for a June 1 release in Japan, it will feature Final Fantasy Adventure, Secret of Mana, and Seiken Densetsu 3. You know, the first three Seiken Densetsu games. According to Famitsu, new to the Switch release is a quick save function, allowing players to save during play. It is also possible to pick different screen sizes. The Seiken Densetsu Collection will also have a music mode, allowing players to enjoy the soundtracks from the Switch home screen. No word yet about an international release, but if it does get one, it will be the first localized version of Seiken Densetsu 3, a game that has been Japan only.